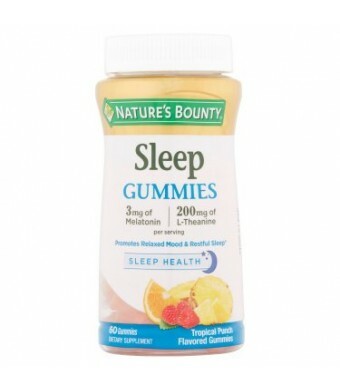 Natures Bounty Sleep Complex Gummies are a fun, delicious way to support a relaxed mood and restful sleep. These Tropical Punch gummies are moon and star-shaped, with natural flavors only, and provide you with 3 mg of Melatonin and 200 mg of L-Theanine per serving. Melatonin works in harmony with your natural sleep cycle to support sound, restful sleep, while L-Theanine helps to support a calm and relaxed mood. 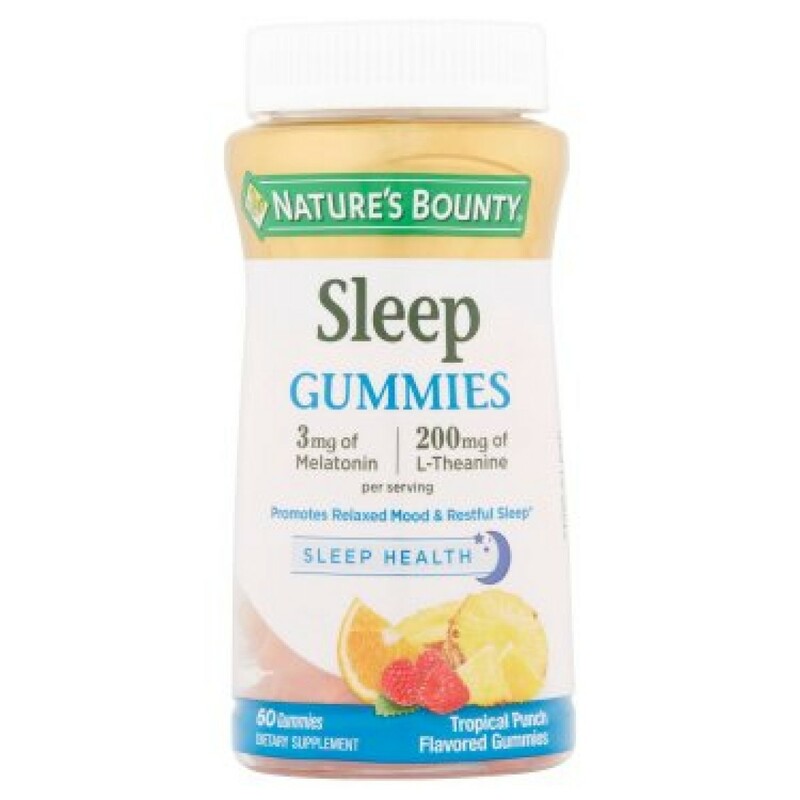 Get the support you need for occasional sleeplessness, jet lag, or simply an improved quality of rest with Nature's Bounty Sleep Complex Gummies!